There are numerous benefits for commercial entities that install solar energy systems on their facilities. 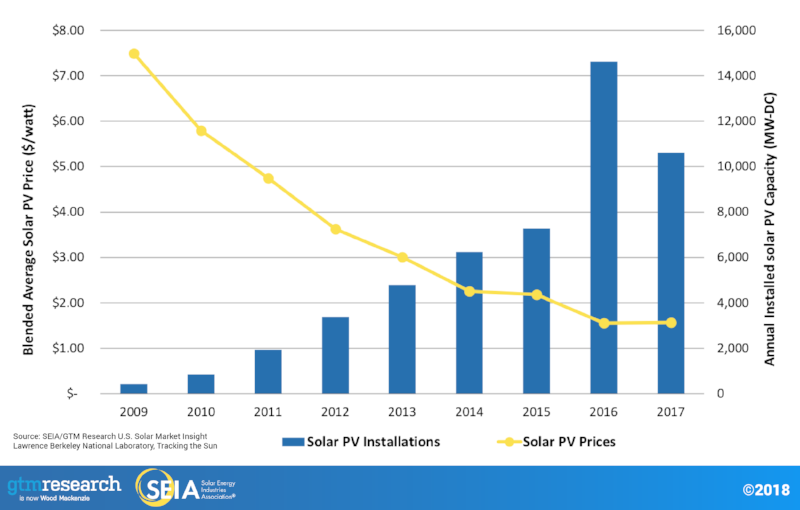 With electricity rates historically rising 5.5% per year, solar energy offsets future price hikes by lowering utility costs. The cost of installing solar energy has never been cheaper—federal and local incentives are making solar even more feasible for businesses. With the help of local solar experts, businesses in Charlottesville and Albemarle County are making the switch. 20 year savings for solar can be substantial for many businesses, ranging from $10,000-$30,000! Additionally, there is a 30% federal tax credit on the price of solar equipment, until 2020 when the tax credit drops to 26%. “Benefits of Commercial Solar Power.” Clean Energy Experts, 24 Feb. 2017. “Investment Tax Credit for Solar Power.” EnergySage, SunShot U.S. Department of Energy.